Can you guys believe May is almost over with?! Geez. I'ma need for 2014 to slow it down a bit. 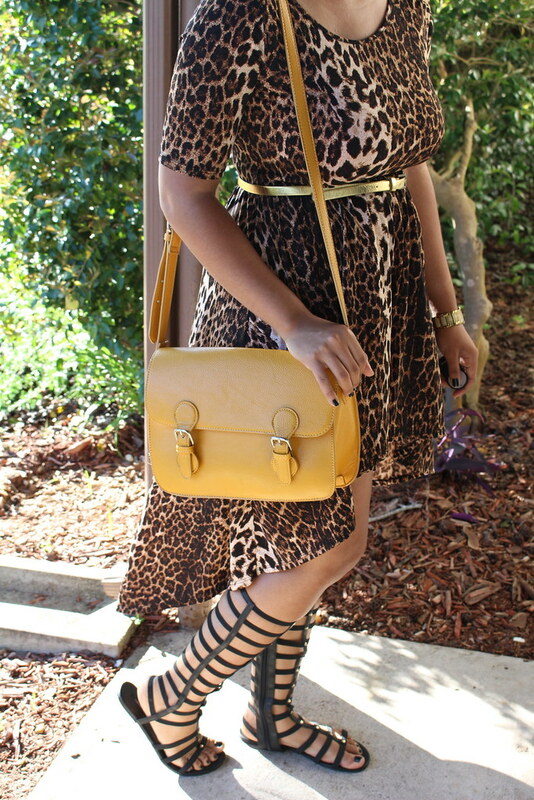 Anyhoo, I couldn't wait to wear these sandals! They're sooooo comfy and not to mention, trendy. These zip up on the insides and the straps are stretchy. They fit perfect on my calves. I plan on wearing them with EVERYTHING this summer. Let's talk about my bag. It's mustard, the perfect size, and very sturdy. They come in 4 different colors (the others being green, blue, red). and it holds a pretty good amount. You can purchase your choice here, but don't forget to go to Coupons.com and search Forever 21 coupon codes to see what discounts you can use! OMG! 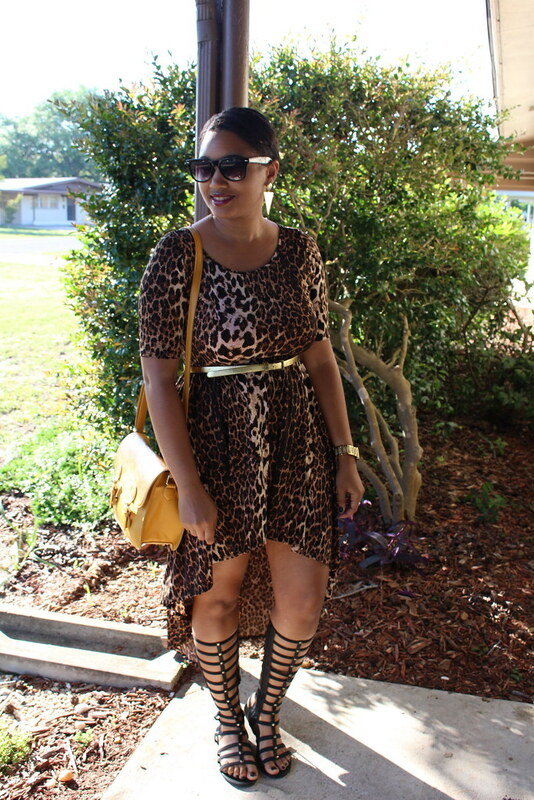 the gladiator sandals are fabulous! 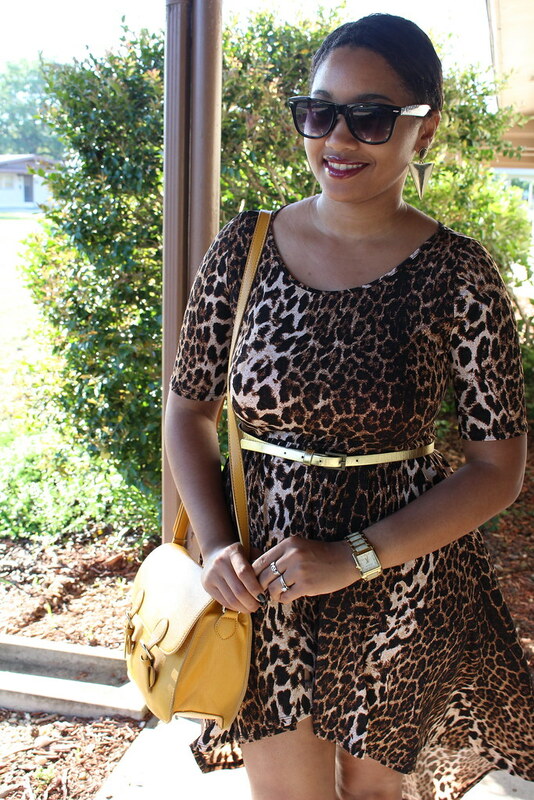 Love the pop of yellow with the animal print dress. 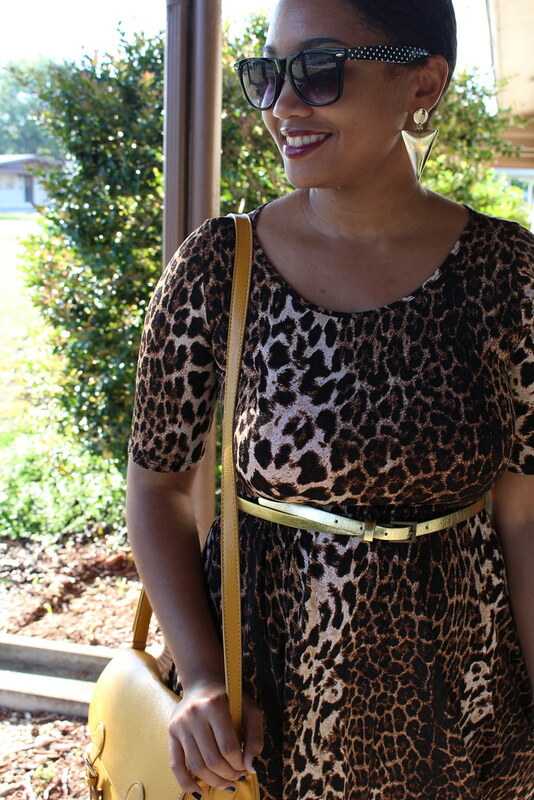 Awesome look dear! 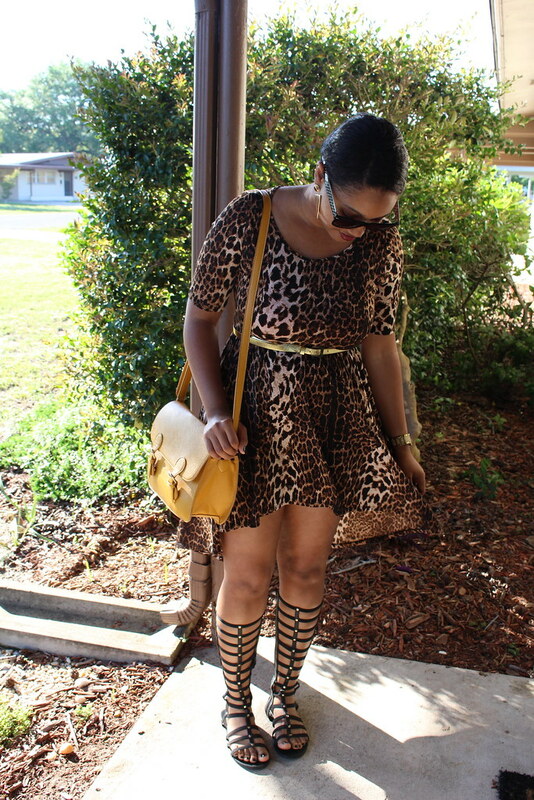 Love the gladiators and the whole outfit!